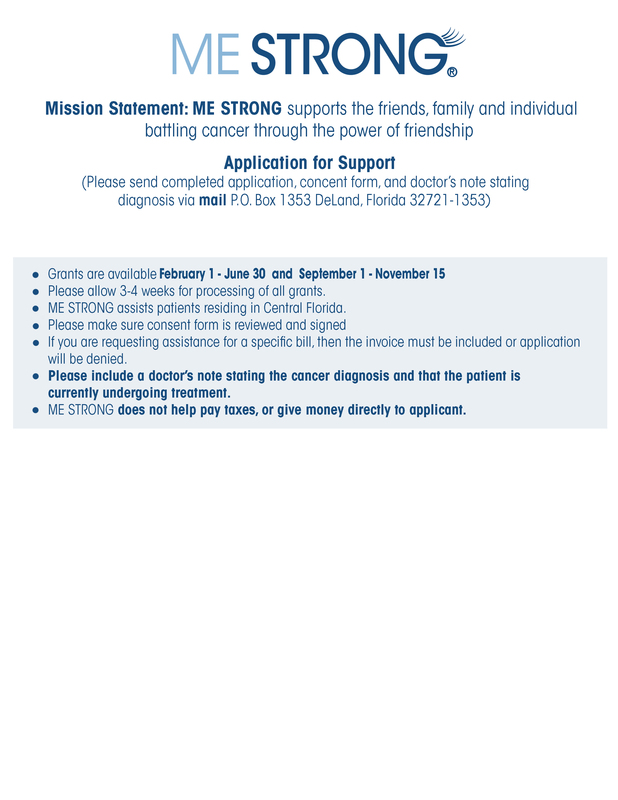 PLEASE FOLLOW INSTRUCTIONS ON GRANT APPLICATION BELOW and email it to grants@mestrong.net or via mail at the address provided on the grant application. Incomplete applications will not be considered. DO NOT email to any other ME STRONG email. Your application will not be considered. 1. 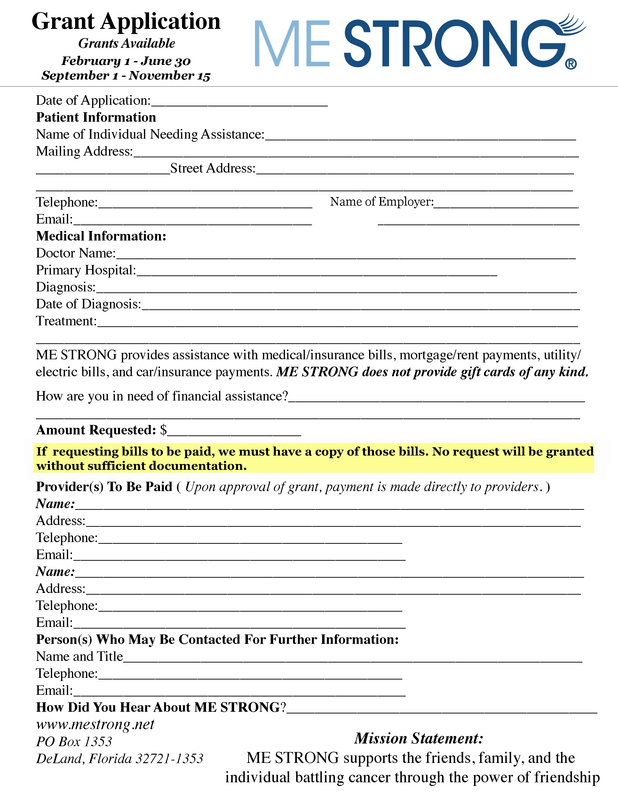 Read the following guidelines to consider who is eligible for support from ME STRONG. 2. Complete application and email or print along with consent form for submission. 3. 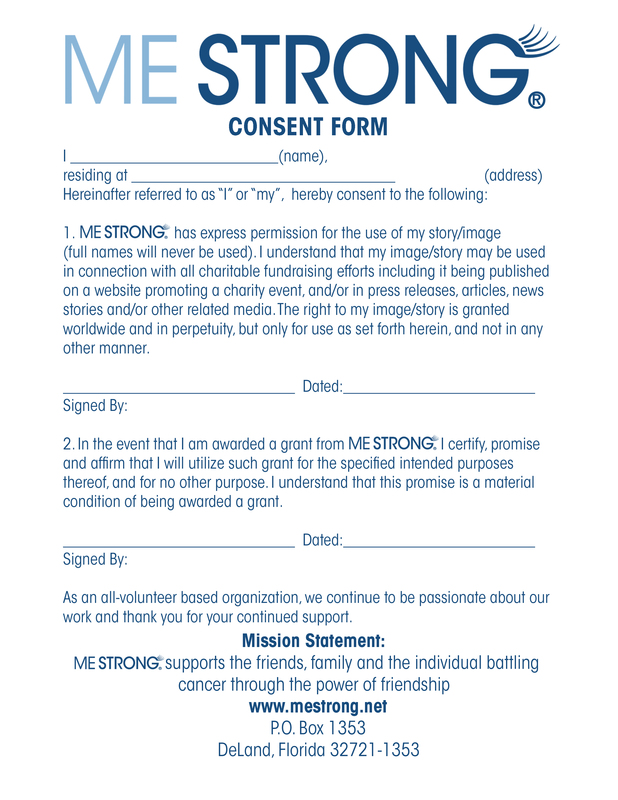 Email application and consent form to grants@mestrong.net or mail to address provided. Recipients of ME STRONG grants have been overwhelmed by the generosity of those who assisted in our mission. These grants have enabled us to help a mother of twins battling cancer, the family of a 16 year old boy battling brain cancer, a brave woman struggling with breast cancer that has metastasized to her brain and has also provided assistance to many more cancer patients. Whether it’s medical or personal bills being paid, they all expressed their heartfelt gratefulness toward the generosity of complete strangers.